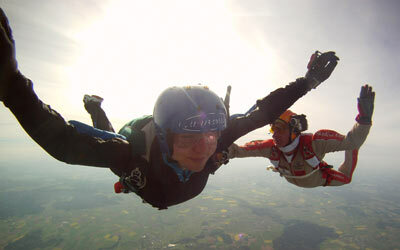 Until you get your skydiving license, there will be additional costs, mainly due to jumping with rental canopies, paying for coaching jumps with instructors, and possibly buying some first gear for yourself (e.g. gloves, helmet, altimeter, acoustic altimeter). *Due to the high and ever-changing prices of jet fuel, we must ask for a kerosene fee on top of every ticket. At the moment, the kerosene fee is € 1,50 per jump ticket. 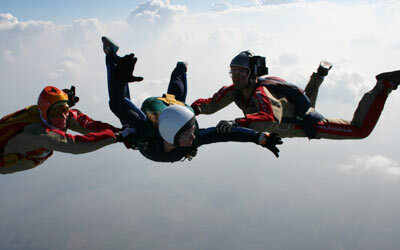 For the AFF Complete Course, you will need to buy 17 jump tickets.